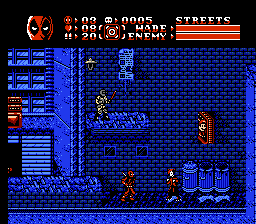 Your favorite anti-hero has finally arrived on the Nintendo Entertainment System!!! 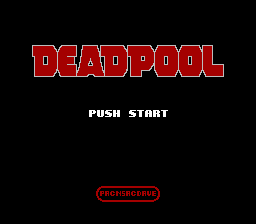 Join Deadpool, in his very own 8 bit adventure, as he causes mayhem on several action packed levels, complete with wacky cutscenes in between. This game is not the standard hack, as many changes have been added to enchance your gaming experience. Brand new levels, as well as added levels not included in the original. New items and powerups, including teleport, a machine gun, and a bomb that wipes every enemy on the screen out. 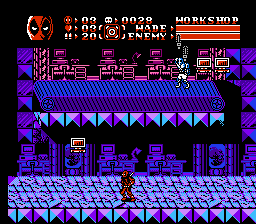 New enemies and bosses, as well as new enemy and boss AI, and new additions such as glowing enemies that can’t be killed, and bombs on the ground that explode if Deadpool gets to close. 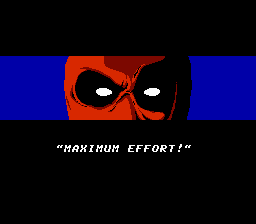 Brand new music for the entire game, and unique and new cutscene art, as well as a unique Deadpool story.